Bombardier's G7500 is now certified in the U.S., Canada, and Europe. Bombardier checked off another key approval for its flagship Global 7500 with European Aviation Safety Agency (EASA) validation, the company announced today. This nod clears the way for the aircraft to be registered in a European Union country, opening a major market for the 7,700-nm, four-zone business jet. EASA approval followed Transport Canada type certification in September and U.S. FAA approval in November. The aircraft officially entered service with the delivery on December 20, a little more than 24 months after the first flight of FTV1. The test program validated a 300-nm range extension, pushing it past rival Gulfstream’s 7,500-nm G650ER. The aircraft also exceed original takeoff and landing performance commitments, Bombardier said, noting it can operate at challenging destinations such as Sion and St. Moritz, Switzerland. It also has the range to connect New York to Hong Kong and Singapore to San Francisco nonstop with eight passengers and standard NBAA IFR fuel reserves. 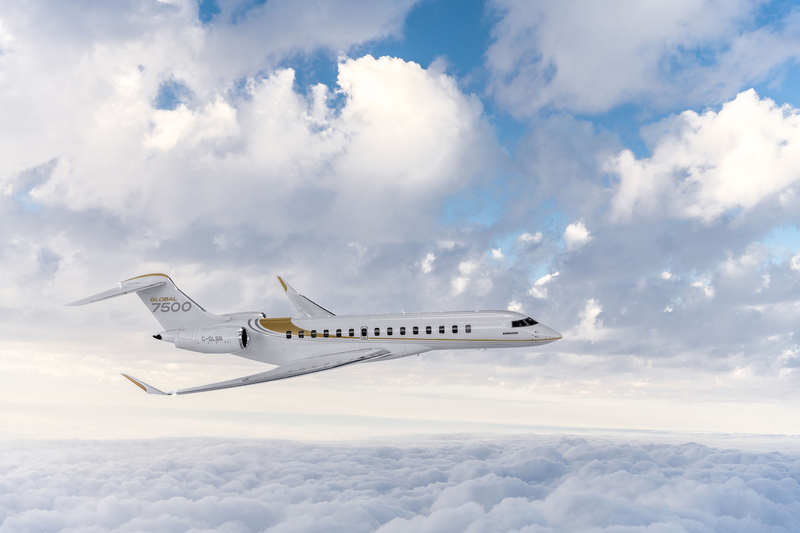 Bombardier, which said the Global 7500 now is selling into 2022, plans to deliver 15 to 20 Global 7500s this year, with the rate doubling to around 35 to 40 in 2020.